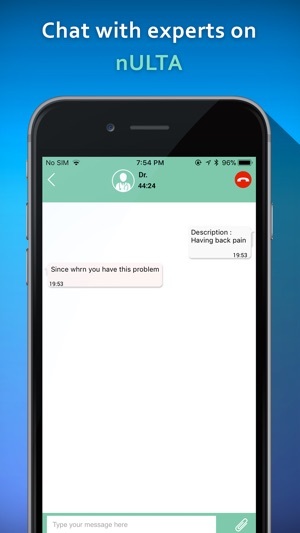 Get answer by private chat when you need help. It is easy to use - just like WhatsApp. 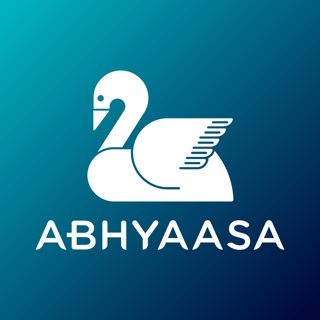 You can ask a counselor (for stress, unhappiness or relationship help), or ask an MBBS qualified doctor, a vet, homeopathic/Ayurvedic doctor, beautician or weight loss advisor. Session starts when you get a reply. 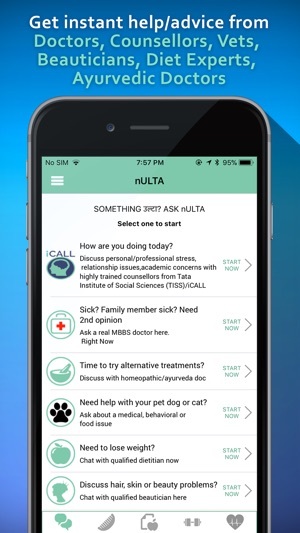 Install nULTA now and keep ready for when you need private help. For counselling, relationship advice and help with things worrying you; a fully qualified and trained counsellor from iCALL will answer you. 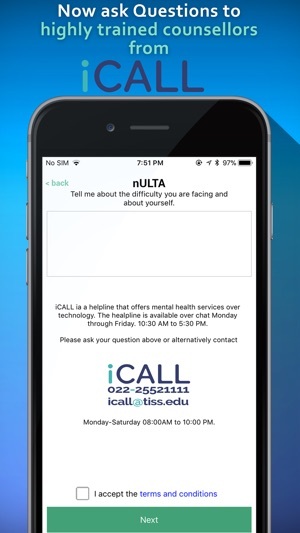 iCALL is a non profit organisation run by TISS (Tata Institute of Social Sciences) the premier educational institute in India. So every time something in your life is उल्टा, message nULTA. Your and your family's health and happiness are important! Don't delay: install now.